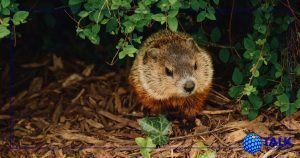 Home » Just What is Groundhog Day? Just What is Groundhog Day? February 2nd is Groundhog Day in America. This very American tradition actually has its origins in other myths that existed in Europe from long ago when farmers looked for signs in nature that winter was ending and spring around the corner. Groundhog Day is when a groundhog emerges from his winter months of hibernation below ground. If he sees his shadow, this predicts that there will be six more weeks of winter. February 2 is the midway point between the winter solstice and spring equinox. Legend has it that if this day sees fair weather, one can expect an early spring. Fair weather means that our groundhog will not see his shadow. A lthough celebrated with a nominated groundhog in cities and towns across America, the most famous celebration is held in Punxsutawney, Pennsylvania. thousands of visitors come to witness as a groundhog named Punxsutawney Phil emerging from his hibernating hole in the early hours of the morning of February 2. Fireworks and bonfires keep people cheered and warm as they wait for Phil to make his appearance. 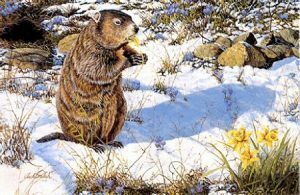 Since 1887, the groundhog has seen his shadow 102 times, which meant a long winter was forecast and has not seen it 18 times. Since 1988, Phil the groundhog correctly predicted the weather 14 times but was wrong 15 times. So, what will Phil predict for this Groundhog Day in 2018? We’ll see what happens on February 2.